It’s a bad feeling when one can’t find their keys. Those keys that lock up and secure your home, gain access to and drive your car. Maybe your work or mail key has just been lost as well. This isn’t only bad because you now have to go on a tedious search for your missing keys but now you’re running late. Nothing like telling your boss the “you lost your keys again” story, or how about being late to take your kids to school? Best Locksmith has a few tips and ideas to help you keep track of your keys and avoid being late again. Here’s an idea for those who have to get up early in the morning or even late at night and you find there is no daylight to help you see your keys. This idea can even help you locate keys better in your purse or if you’ve accidentally dropped them outside. You can paint them with a Glow in the Dark Mod Podge. This will help you see your key in those dark places. This is surprisingly help for a lot of folks. Some will suggest making your keys easy to see. A lot of the times keys get lost in the clutter of our homes, cars, and work places. Along with making them glow, make them bright with color and easy to see. Some ideas are big fluffy key chains with colors that stand out. Look for a keychain that you can live with and big enough to find in the clutter. This world of today’s wonderful technology where phones have apps to help us keep track of our schedules, Facebook page, and yes even our keys. Many can’t do without their phones more than their keys. Because of this there is now a clever way to use your phone to find your keys. The tile is a small keychain like device you put on your key. Then you Bluetooth it to your phone. You now can GPS locate your keys. Creating a habit is big one when keeping track of your keys. Whether you are at home or work you need to have a dedicated place for your keys. Now placing them on the entry table is not one that many will suggest. Many times when keys are placed on a flat surface, they’ll slide off easily when knocked by pets, kids, and other people making there way in. If you want to place them on a table where it is convenient to grab on your way out, have a key plate or bowl. This way it’s harder for them to slide off. Another suggestion is to hang them. Having a key rack is a great way to never your keys. You can find many clever ideas for key racks to make the design fit your home decor. Nothing can cause more stress them not being able to find your keys. Best Locksmith suggests you create a plan to help avoid losing the keys that we depend on to get through our everyday tasks. In the event you do lose your keys, or lock them in the car, Best Locksmith is here to help you! Contact us for all your locksmith needs. The front door to your house is what keeps people out or lets them in. You want to have control over this and keep those you feel are dangerous or unwanted on the outside of your home. No one wants to think that their door isn’t burglar proof, or unable to keep you safe. Unfortunately, unless you have taken some precautions, you may be in danger if a burglar picks your house as a target. Best Locksmiths would like to walk you through some reinforcing that can be done to your front door and help you keep those that are dangerous out. When you are choosing your front door, you want to choose one that is made of solid wood or metal. Many doors are hollow and don’t provide much safety for you and your loved ones. You can tell if your door is hollow by tapping on it. If it is hollow you will be able to tell. Hollow doors are great for doors on the interior of your home, but any exterior doors should be solid. When choosing a solid wooden door, try to pick one made from hardwood to provide the most protection. If you don’t want someone to be able to gain access into your home by kicking in your door, you need to do some reinforcing on your door jamb. Usually there is only about one inch of wood holding your strike plate in place and this can be destroyed with a few forceful kicks. Invest in a reinforcement kit that include a steel plate to reinforce the wooden jamb and make it difficult to gain entry by kicking in the door. The strike plate is the piece of metal that the deadbolt fits in and slides into the door frame. If you buy a strike plate that uses longer screws and is completely enclosed in metal, you have a better shot at keeping burglars out. This will also help your door withstand forceful kicks to break in. When a burglar is deciding on a house to target, they will often pass over ones that are well lit. If you have some lighting on your front porch near your front door, this can deter burglars. If you don’t want to have lights on constantly, you can install motion censored LED lights that only come on when they detect movement. You can add an extra layer of security if you want to install cameras to keep an eye out as well. If you are worried about someone breaking into your home, or if your neighborhood has been targeted recently, you may want to make these small but big improvements to your front door. You don’t want to fall victim to burglaries. 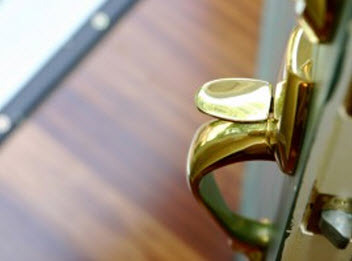 Best Locksmiths can assist you with any of your lock and key repairs and installations. 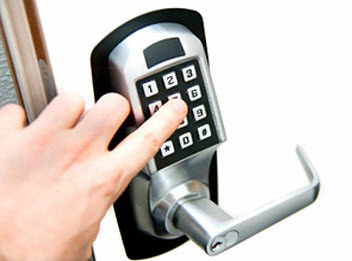 Don’t hesitate to call us for all your locksmith needs. Having a vehicle is a luxury for many, there is no doubt about it. Unfortunately, that luxury is also a target for theft. Every year over 348,000 cars are reported to have some sort of theft. Whether it is the vehicle itself, or valuables that are kept inside, you need to make sure your car has the protection it needs to avoid it getting stolen. Best Locksmiths would like to share some tips to help you avoid car theft. This may seem like a no-brainer, but people leave their vehicles unlocked more than you would think. Sometimes if someone is looking for a car to steal, they will try every door they see until they find one that is unlocked. This is a trend among young adults looking to lift a car. Check to make sure your car is locked. Then lock it again just to make sure. This is an area that you want to double and triple check to make sure you can check it off the list. As you go to bed for the night, double check again, as this is the most common time car theft happens. If you can avoid keeping valuables in your car at all costs, you should. This makes your vehicle an even bigger target. There are times that you can’t avoid keeping valuables of some sort in your car. When this happens, you want to make sure you conceal them. If they are in plain sight, you have a greater chance of attracting a thief. You shouldn’t just hide your valuables. If you have any jackets or bags, those all catch a thief’s eye. One step beyond that is hiding any paperwork that might be sitting out in plain sight. This is attractive to somebody looking to steal your identity. Nothing is safe, and for that reason, you should hide it all. You should avoid parking in places that aren’t well lit. Even if you are in a safe part of town, theft happens everywhere. If at all possible, park under a street lamp or next to lighting in a parking garage. Even if you are parking in the middle of the day, looking for lighting in case you will be parked there into the evening. Don’t park off by yourself. If you park your car near others, it is less likely to be a target of theft. Your car may be equipped with security features that you are unaware of. Your car may be able to lock automatically once your car reaches a certain speed. This will help guard you against possible car-jackings. Your lights might be able to stay on for an extended amount of time after it has been shut off. Many newer cars come with an immobilizer to keep your car from getting stolen. These are all great ways to keep you and your car safe. You want to make sure that the luxury of having a car isn’t taken for granted. Several people most likely want what you have. Take all the precautions necessary to keep yourself from being a victim of car theft. 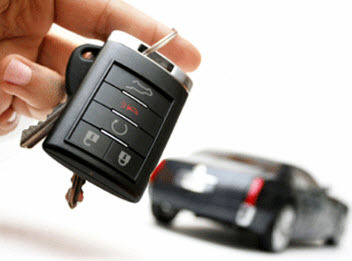 Best Locksmiths can help you with any of your automotive locksmith needs to help you safeguard your vehicle. Contact us whenever you need assistance with your keys or locks.